There was a time when eBay and PayPal were the very best of friends. As a matter of fact, eBay purchased the online payment company for $1.5 billion USD in 2002. That was back when Elon Musk and Peter Thiel were still running the company. For years PayPal became a staple of the eBay payment system and in 2015 eBay decided to split them up. While the companies were split into two different entities they still continued doing business successfully. eBay is looking to move on and has been seeking new options that would save it and users money. The company is hooking up with Dutch payment company Adyen, I know I never heard of them either. It is with Adyen that eBay hopes to provide lower costs to sellers on the platform and give more payment options to buyers. 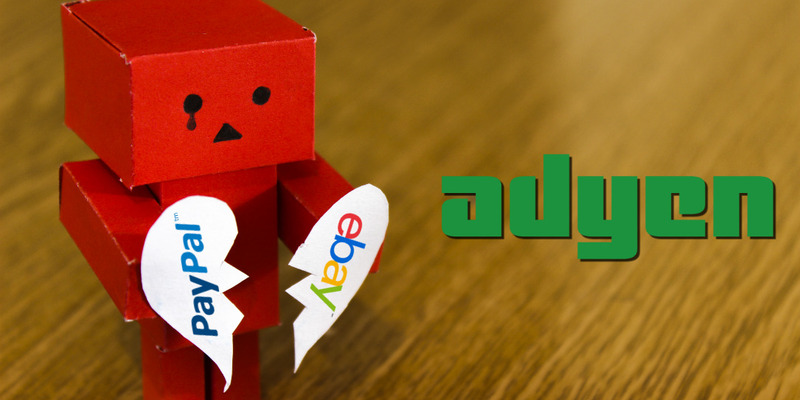 The move from PayPal to Adyen will start in North America this year but move at a slow pace. PayPal will continue to work with eBay and provide payment services through July 2020 and will remain an option until 2023. eBay hopes to have Adyen completely in place worldwide by 2021. Adyen said it’s “thrilled” to be getting its hands on the eBay payments business. “We look forward to powering transactions on eBay, starting in North America, and supporting their continued global growth,” the Dutch company said in a statement. PayPal is used by other merchants on the internet so while they’re losing a significant partner, they aren’t dead. eBay sales accounted for 13% of the payments PayPal handled in the fourth quarter which is an actual decline from previous years. Perhaps it was just time for both companies to move on and find greener pastures away from each other. What do you think of eBay finally dumping PayPal as a payment option? What do you think of PayPal? Have you heard of Adyen before? Let us know in the comments below, or on Google+, Twitter, or Facebook.